Congratulations Winners of the NAGE Facebook Giveaway! Congratulations to the lucky winners of the NAGE Facebook giveaway! Winners were randomly selected at 10:00 am on May 26, 2016, and are listed below. Congratulations! 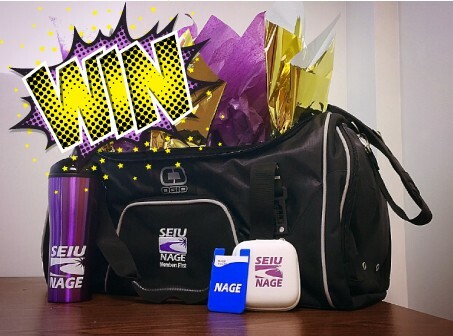 The winners will be contacted by the NAGE Communications team individually. Thank you all for entering and be sure to check our Facebook page for news and updates from your union and notice of any future contests.